Musical Artist. Mental Wellness Advocate. Reiki Practitioner. You can find her debut Album “I Am” on all digital platforms: Itunes, Apple Music, Spotify, Google Play, Amazon Music, Tidal, YouTube. 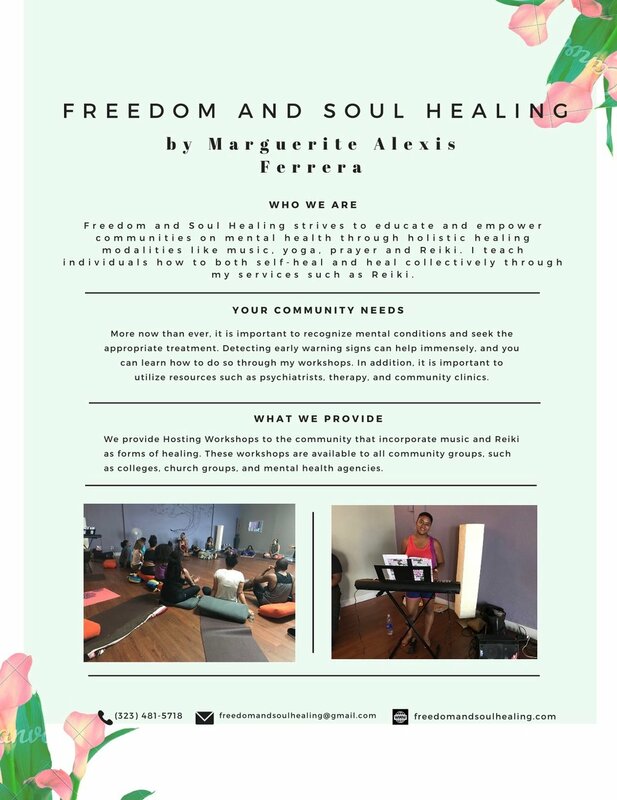 Freedom and Soul Healing is a company Marguerite created that uses the arts as activism to promote positive mental wellness with a holistic health and restorative justice lens. It encompasses all of the work she engages in, from her music, mental wellness advocacy and her recent path to becoming a reiki practitioner. Learn more below. 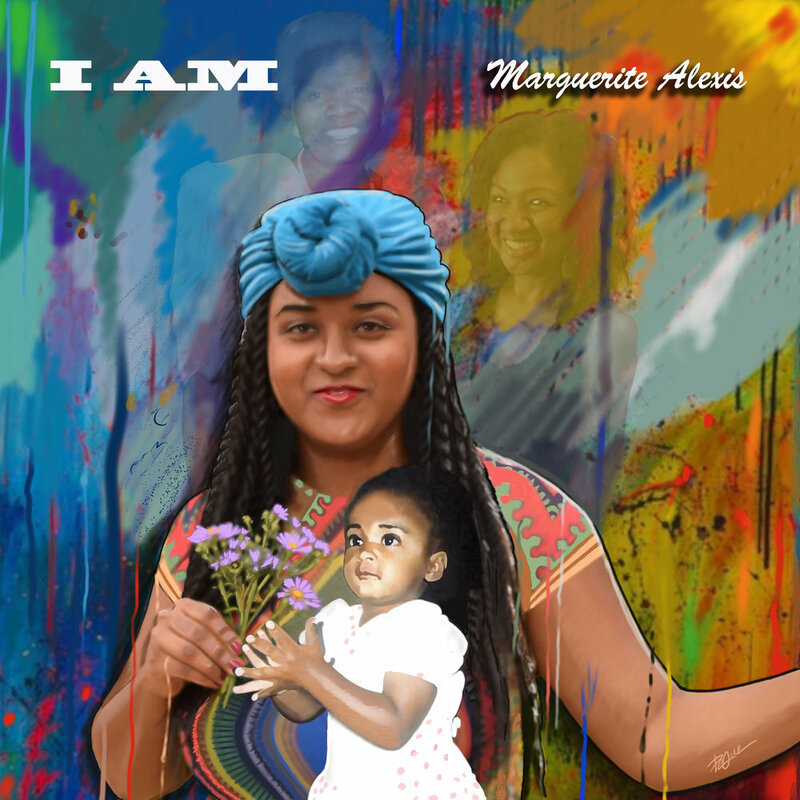 Marguerite Alexis Ferrera (She/Her) uses her platform as an artist to promote positive mental health and wellness. She is a singer, songwriter, pianist, mental wellness advocate and certified Reiki practitioner.She is passionate about education, community, and helping others move from surviving to thriving. 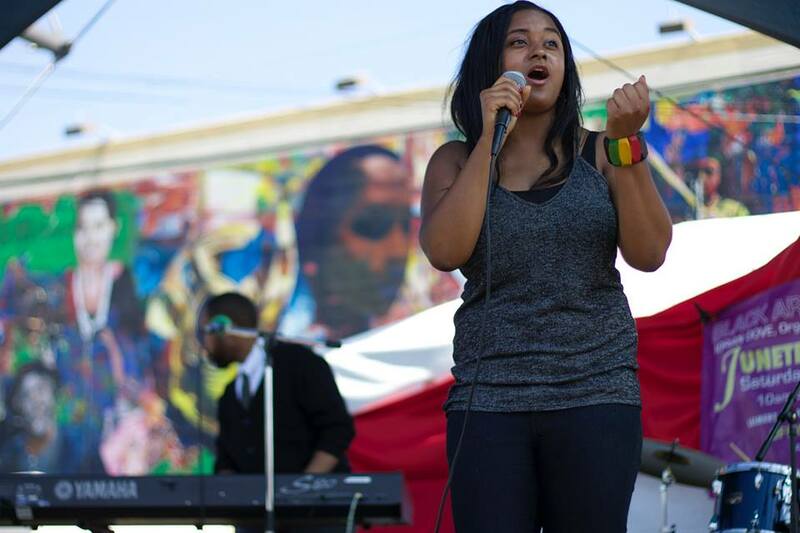 Her Debut Album, “I Am”, highlights her identity as a woman of color, love, community, and maintaining faith while advocating for change. Marguerite has spoken at colleges such as Loyola Marymount University and USC addressing the importance of mental health and connecting students to resources such as psychiatry, therapy, crisis talk lines, yoga centers and mental health agencies. She integrates her music into her mental wellness advocacy work, leading holistic healing workshops, creating and speaking on panels and strongly believes in a mind, body, spirit approach to healing. She leads with her own journey of having mental illness and speaks publicly to eradicate shame and stigma around mental health. Marguerite is passionate about Reiki because of its many health benefits and it’s ability to create more love and serenity for people. She practices privately with clients. You can find her debut Album “I Am” on all digital platforms: Itunes, Apple Music, Spotify, Google Play, Amazon Music, Tidal, YouTube. She leads with this quote by her brotha’ Dr. Cornel West which says, “You can't lead the people if you don't love the people. You can't save the people if you don't serve the people.